Luxury is the name of the game when it comes to the Toyota Land Cruiser, so if you want the best of the best, it’s time to make your mark from behind the wheel of this incredible SUV. You’ll find powerful performance, off-road abilities, top technology, and a plush interior seamlessly wrapped up in one stylish package. It’s waiting for you at Toyota of Orlando – take your drive time to a whole different level and schedule your test drive today. The new Toyota Land Cruiser is truly the epitome of the brand when it comes to luxury. You’ll find a powerful 5.7L V8 engine under the hood that allows for major towing, plus off-road capabilities like 4WD and multi-terrain select at your fingertips. A plush leather interior with heated seats and space for up to 8 passengers makes your drive time as lux as it gets, and you’ll find top technology integrated into the design of this luxury SUV with features like integrated navigation, Entune App Suite, and a premium JBL audio system with 14 speakers. Plus, this new Toyota offers a cooler box – we mean, doesn’t it get any better? 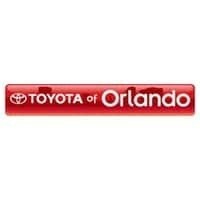 Test drive the new Toyota Land Cruiser today at Toyota of Orlando.